You Make Me Feel Like I Can Fly! 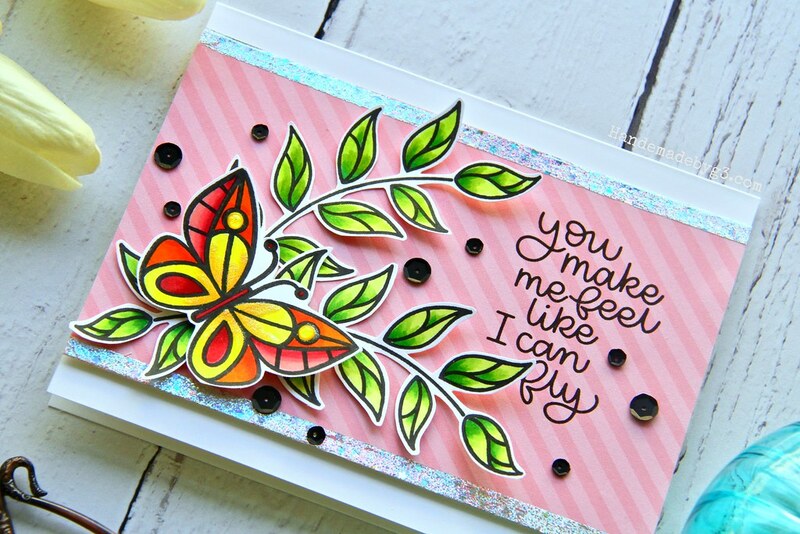 Another card using Simon Says Stamp Beautiful Day card kit. This is my fourth card using the kit. 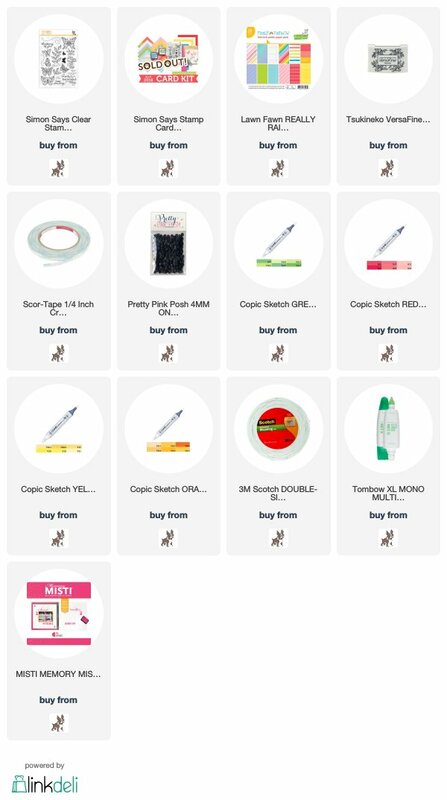 I still have plenty of goodies left in my kit. I want to use the stencil next with the brush and oxide inks. That will be wonderful. Cannot wait to make and share that. 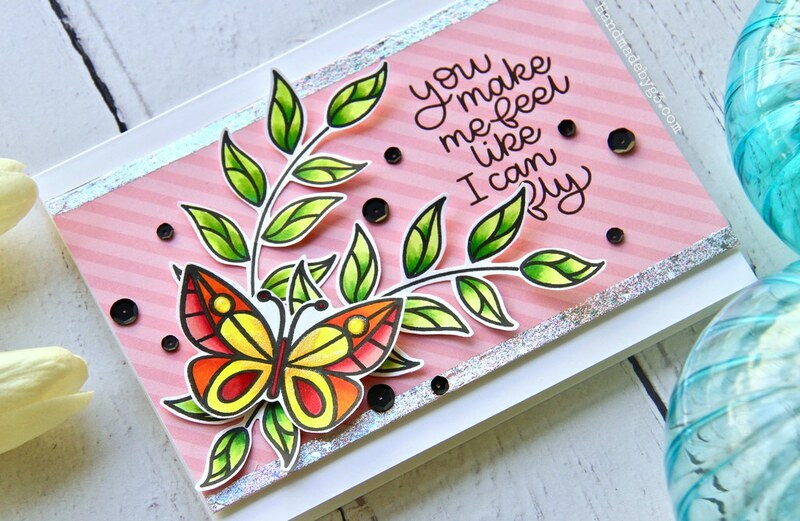 But first here is another card using the pattern paper and stamp set. On this card I used the gorgeous foil paper that came with the kit. 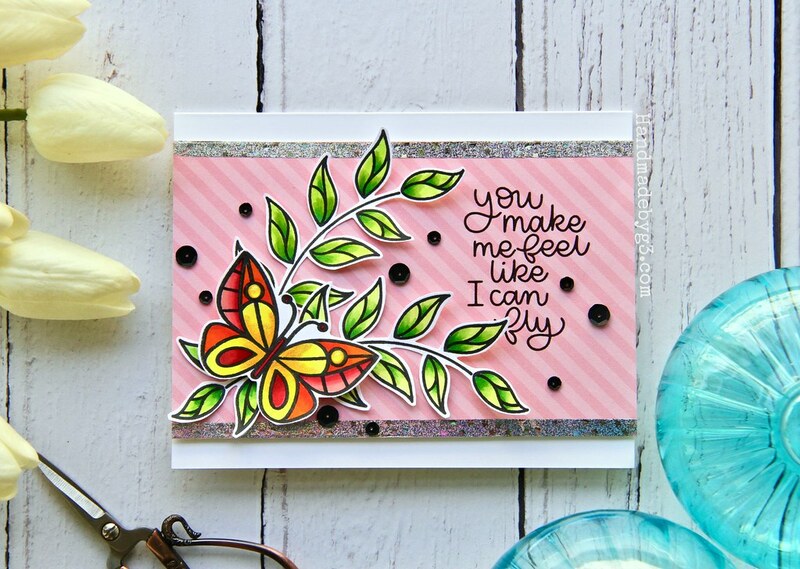 I trimmed the pink pattern paper from the kit to 3.75″ x 5.50″ in size for landscape version of the card. Then I used the scor tape on the top and bottom of the panel. Then ran the foil paper form the kit over the tape after removing the backing. I burnished the foil paper using bone folder and removed the foil paper. The paper sticks only to the scor tape giving a nice foil border. I stamped the sentiment using MISTI on the right side of the panel. Then the cluster of leaves and butterflies on the left side of the panel. Then tied in the black outline of the stamped images and the black sentiment with some onyx sequins. This entire panel is adhered on the white card base suing foam adhesives. I always start with stamping the images from the stamp set in the kit multiple times and colour them. The fuzzy cut them out unless there are coordinating dies in the kit. Then go to the drawing board which is a journal book in my case. I draw sketches of the layout for the cards keeping in mind the images from the stamp set and pattern paper and other items in the kit. Then I make the cards using the layout. Most times the layout is just a guide. They are not replicated because as I make the card, things change because of the dimension of the images, sentiment are different or even an idea that pop in my mind. 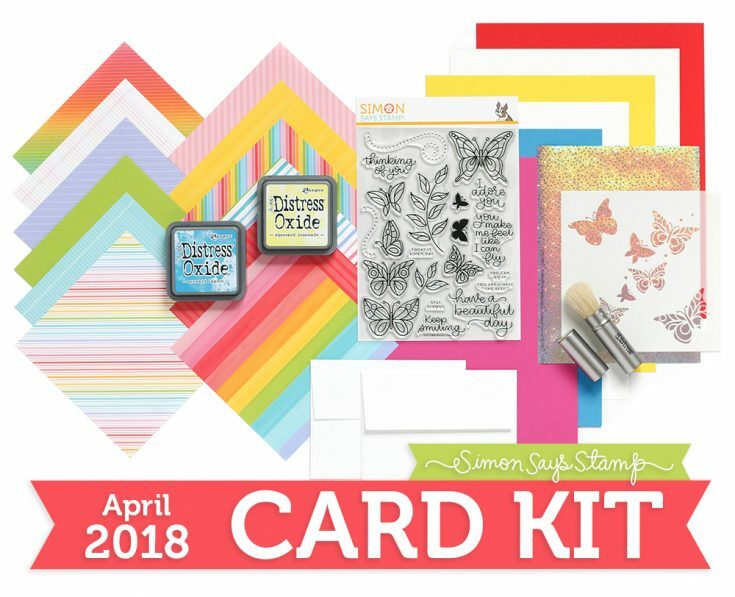 I just wanted to share the process I go about when I receive a card kit. Thanks so much for visiting and reading my post.